A new study led by epidemiologists at the University of Massachusetts Amherst’s School of Public Health and Health Sciences suggests that high intake of dietary vitamin D and calcium may be modestly associated with lower risk of early menopause, the cessation of ovarian function before age 45. Early menopause affects about 10 percent of women and is associated with higher risk of cardiovascular disease, osteoporosis and early cognitive decline. Epidemiology doctoral candidate Alexandra Purdue-Smithe and her advisor Elizabeth Bertone-Johnson, with colleagues at Brigham and Women’s Hospital, Boston, and Harvard Medical School, evaluated how vitamin D and calcium intake is associated with incidence of early menopause in the prospective Nurses’ Health Study II. The study population includes 116,430 female U.S. registered nurses who were 25-42 years old in 1989 when they responded to a baseline questionnaire. Since 1989, follow-up questionnaires have assessed nurses’ lifestyle behaviors and medical conditions every two years. Diet was assessed five times over the 20-year study, allowing the researchers to capture changes in food and nutrient intake over time, Purdue-Smithe notes. Participants in the study contributed more than 1 million person-years of follow-up, during which 2,041 women experienced early menopause. 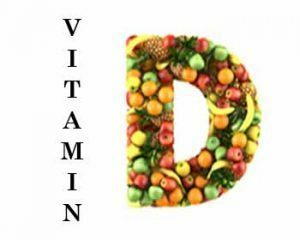 The authors report the hazard ratio for early menopause comparing the highest vs. lowest dietary vitamin D intake groups was 0.83 (95% confidence interval = 0.72-0.95) and for dietary calcium 0.87 (95% CI=0.76-1.00). Details of the study, supported by the National Institutes of Health, appear in the current early online edition of the American Journal of Clinical Nutrition. Because associations were stronger for vitamin D and calcium from dairy sources than from non-dairy food sources in the study, and Purdue-Smithe plans further analyses investigating individual dairy foods and other components of dairy and how they may be associated with early menopause.